Anybody else in here suffer from rolled shoulders from years of sitting in front of a computer? If so how did you go about correcting them? 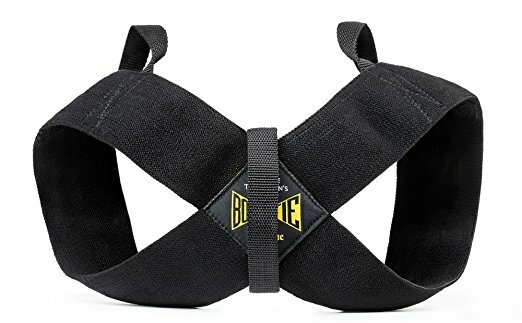 Anyone used a posture corrector, or are they just a gimmick and should i just concentrate on more pull movements while decreasing push movements? I've managed it more with chest stretching, and posture cues. No amount of rowing and pull movements really helped my posture, it was a mind muscle thing for me. That said face pulls were handy. Also getting under the incline bar bench with a light load and using it as a weighted stretch was farken orgasmic. Also getting under the incline bar bench with a light load and using it as a weighted stretch was farken orgasmic. Hahaha! I do this. I get a few strange looks from people wondering if I've been pinned by a 8kg dumbbell. Haven't ever tried a posture corrector harness thing, but I suspect as Chemo says, it's more a problem of mind-muscle, and just training yourself into better habits. My guess is that as soon as you took the harness off, you'd find yourself slumping forward again - and probably worse than before. newbie to gym nation and want to grow shoulders! !